This pad has extra material at the back specifically for night time use or for heavy flow periods. 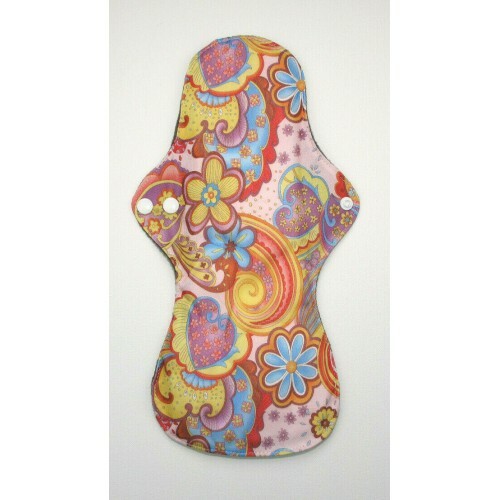 It can also be used as a postpartum maternity pad. 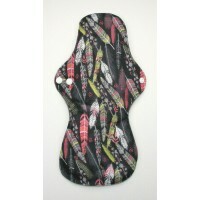 The liner has 2 adjustable press studs on each wing to ensure they stay in place whilst in use. - Charcoal top layer. Charcoal is a fantastic material as it is highly absorbent and is very soft and warm in winter months. 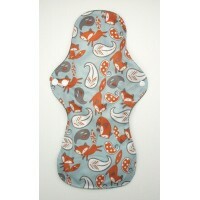 It also dries very quickly after washing and doesn't stain like other materials can. - 2 Microfibre middle layers. This material provides great absorbency. - Printed PUL water resistant bottom layer. This last layer stops any leaks providing piece of mind whilst being light enough not to notice it’s there. 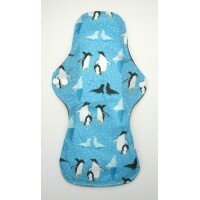 The liners can either be soaked in cold water immediately after use or placed in a wet bag (please see my shop for wet bags in different sizes, small size is perfect for liners.) If the liner hasn't been soaked in water I recommend putting on a rinse cycle before washing. Then they can be washed on a normal wash up to 40C without fabric conditioner as this affects absorbency. They can then be hung to dry or placed on a very low heat setting in a tumble dryer. 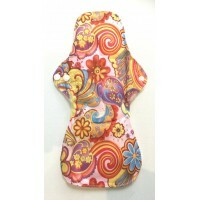 This pad is longer and has extra material at the back specifically for night time use or for heavy f.. 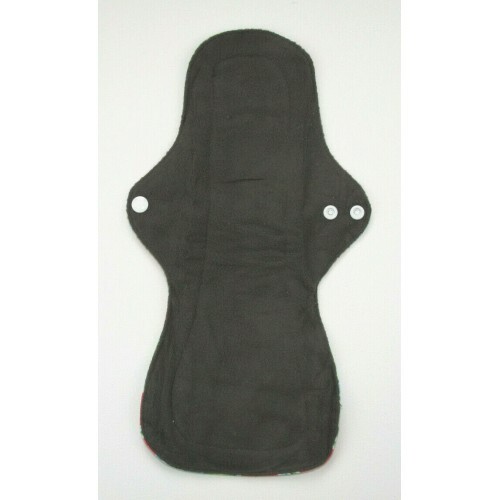 This pad has extra material at the back specifically for night time use or for heavy flow periods. I..